Apply for your Bolivia visa at a consulate! 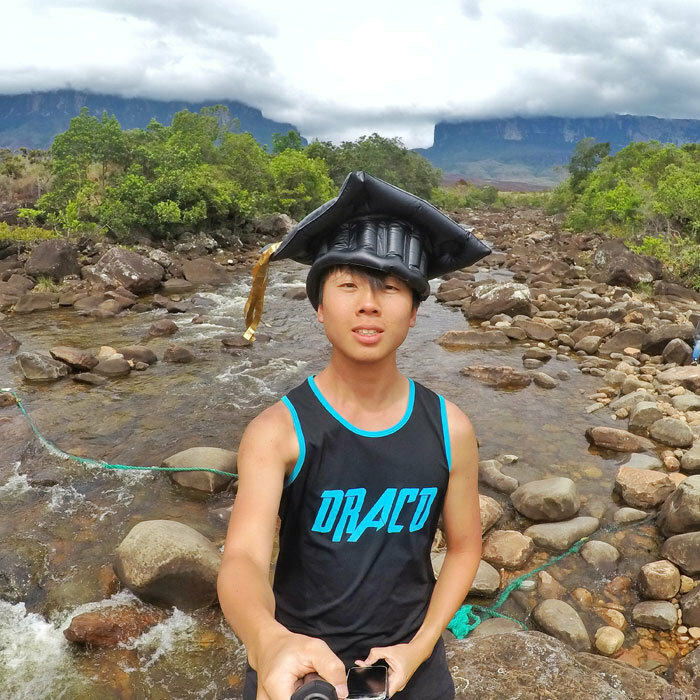 I first heard about it from a fellow Singaporean who did it at Salta, Argentina. 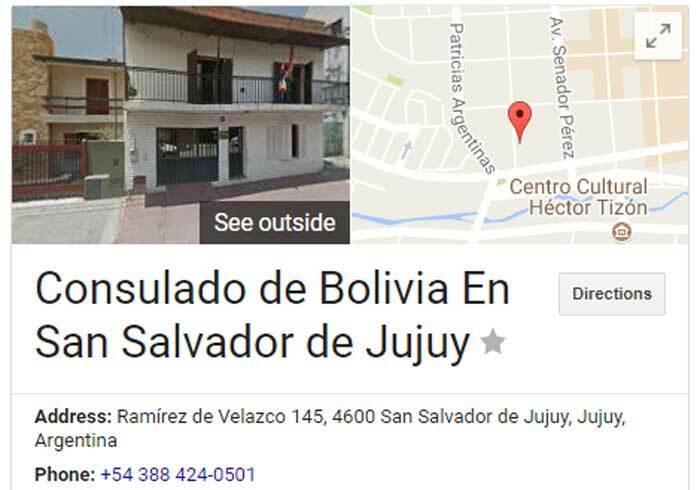 I was heading to San Salvador de Jujuy, Argentina and after doing a little bit of Googling, I found out there is a consulate at Jujuy. 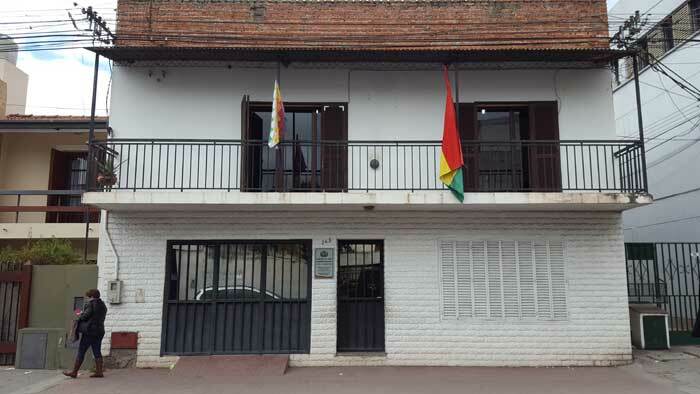 I believe most major cities close to Bolivia have a consulate, like Northern Argentina and Chile and Southern Peru. 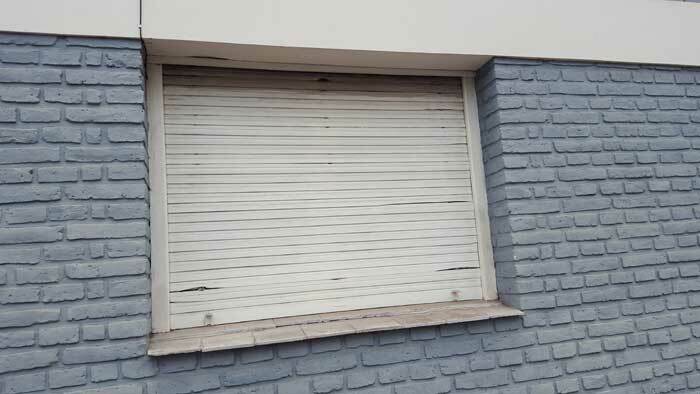 Maybe even in Asuncion, Paraguay. 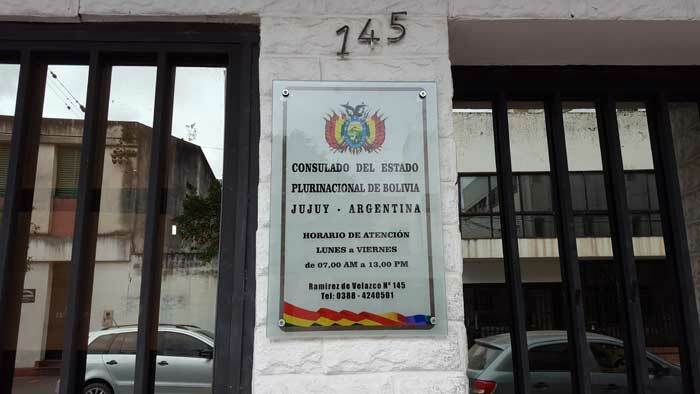 The problem is, most of the embassy websites are not updated, especially for Jujuy. The address on every website I checked, and even the official Bolivian website, was wrong. Even blogs of other traveller’s experience were written years ago at the old address. Look out for the colourful flags and note that the opening hours are: 07:00 to 13:00 hrs. Like most plan-as-you-go backpackers, I didn’t have everything ready. Carrying my heavy backpack, I rushed to my new hostel only to realize my laptop couldn’t connect to the hostel’s wifi. The online process for the declaration form requires you to upload a scanned copy of your passport, itinerary, bank statement, and a letter of invitation from a Bolivian. Honestly, I doubt they actually check the online application. I uploaded the itinerary in place of the letter of invitation. For the itinerary, simply Google a sample Bolivia itinerary and you’ll get lots of results. Or if you prefer, make a hostel reservation with free cancellation and simply print it out and cancel it later. I had my yellow fever vaccination card ready from my trip to Brazil 3 years ago. If you don’t have one, I’m sorry I can’t help. Perhaps negotiate with the consulate. All these were followed by a mad rush to find a printing shop. Thankfully, the consulate was still open when I went back at 1:15pm and the person/officer/staff accepted my documents. The application takes 24 hours, though I read about people begging the consulate in desperate situations (like catching a bus later in the day). I’m not sure about you, but I’d rather apply for my visa free in advance, than to have an anxiety attack for not having the documents ready at the border and still pay the hefty roughly USD $100 fees. Oh and by the way, the visa in valid for 30 days from the day you enter the country and you have the option to extend it for 30 days, then another 30 days, at an immigration office in any major cities (La Paz, Santa Cruz, Sucre etc) in the country. 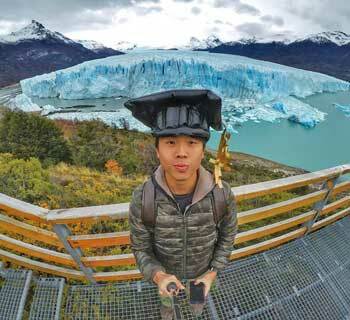 Update August 2017: Two Singaporeans crossed the San Pedro-Uyuni border together on a tour​. One followed this post and went through smoothly, the other paid USD $50 and handed over his passport to complete the immigration process 3 days later. Different prices at different border. Insist to apply your visa at the consulate even if the they tell you it isn't necessary. Some of them are unsure of the requirement themselves. ​My friend insisted and saved USD $50. A huge number of readers are from the United States, and I am sorry to inform you visa upon arrival is NOT free for US Citizens. It costs USD $160 and lasts for 10 years and allows for multiple entries. Trust me, it's worth it. Just get it. I understand that many of you might be flying into Bolivia and not be at a consulate before entering. Yes, you can get a visa on arrival at the airport, but it is not free - even for Group 2 countries. Prepare the above-mentioned documents and crisp USD notes. It's black and white, and not even the real photo. Hi, you got the visa in Jujuy for free? I’ll be doing a trip too but will be from Peru instead as I will start in Colombia. So I suppose I still have to pay a hefty amount. Your blog is really helpful, thanks! Yes I got the visa for free. I believe it is free for most group 2 countries even at other countries, unless you’re an American or Canadian citizen. I know people who got it for free at Peru (Cusco/Puno). May i know the address for the consulate in Cusco? Can I ask if your visa is valid for 30 days from the day you got it from the embassy or once you go into bolivia? 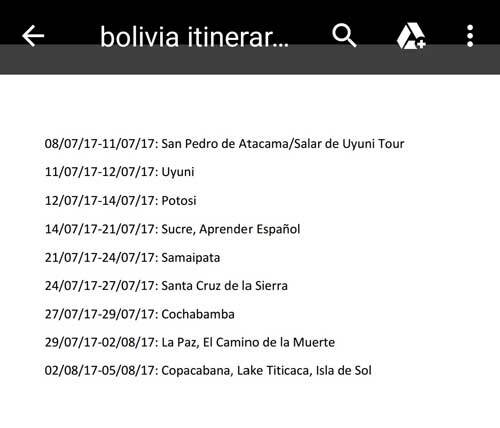 I am just concerned that if I get it too early at the start of my peru trip it becomes invalid halfway through the bolivia trip. Thanks! 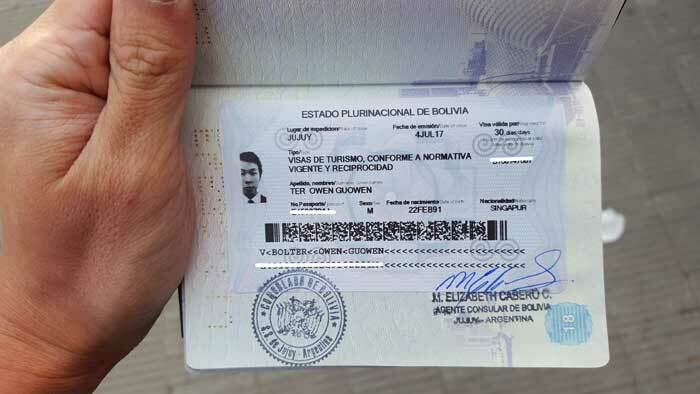 Hi Yuru, it is valid from the day you enter Bolivia. Anyway, you can extend it for free at an immigration office in La Paz/Sucre up to 90 days. Oh yay that’s great thanks for replying so fast! I have a problem uploading my photo as required. Can you please advise? Also, can you recommend a trip to Machu Picchu please? If I remember correctly, I did not manage to upload my photo too. The consulate I went to was quite lax. Just bring your passport photo along – it’s more important. What do you mean recommend a trip to Machu Picchu? Are you talking about a tour agency? 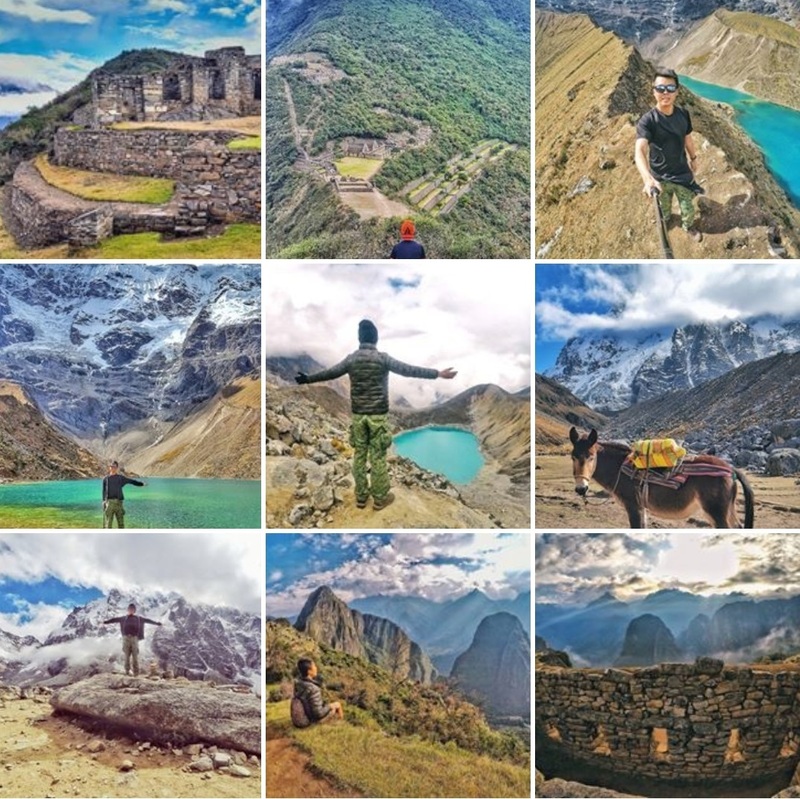 Personally, I went with the cheapest option for the Salkantay Trek – just shop around Cusco. They lump all the cheap tour groups together so it doesn’t really matter. If you mean the train, then I have no experience in that.